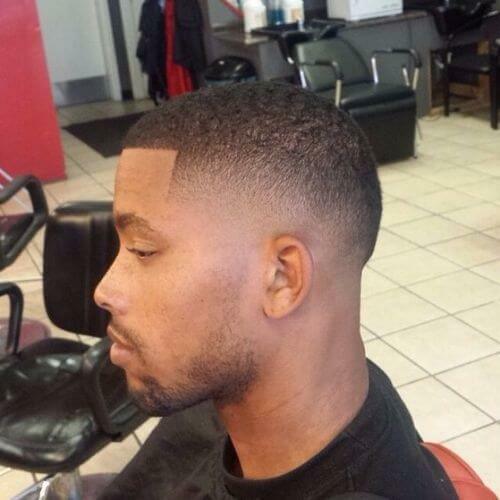 Apart from the fact that they look good on literally anyone, buzz cuts have another advantage to them. They are extremely easy to maintain. 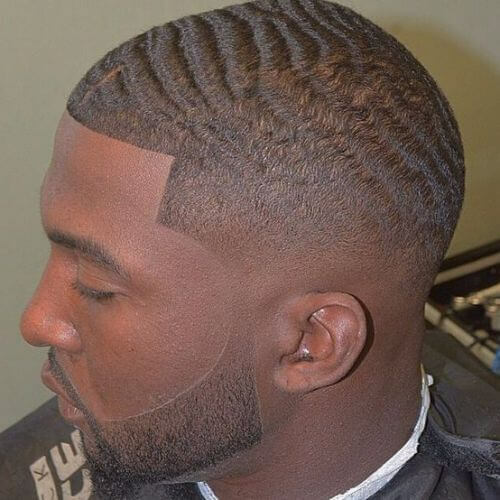 The traditional buzz cuts used to be done with clippers, and they meant almost shaving all of your hair off for comfort and a rugged style. However, since they entered in the attention of Hollywood hunks, buzz cuts received an upgrade. Evidently, happier we could not be about this. Moreover, we decided to share these wonderful ideas and examples with you. Here are 50 buzz cuts to inspire you. 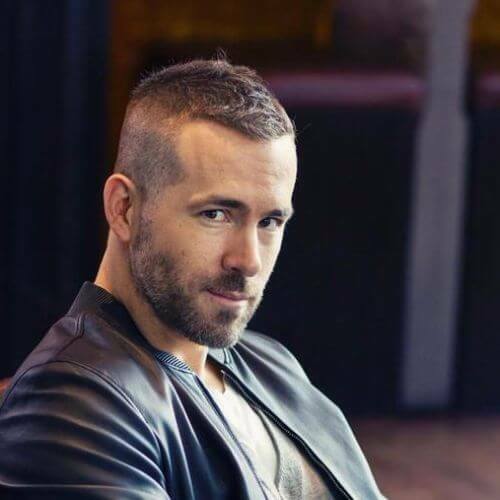 Who could be better to start off our list of amazing buzz cuts than Mr. Deadpool himself? Ryan has sported the buzz cut many times over the years and it has always been a good idea. It shows off his chiseled features. 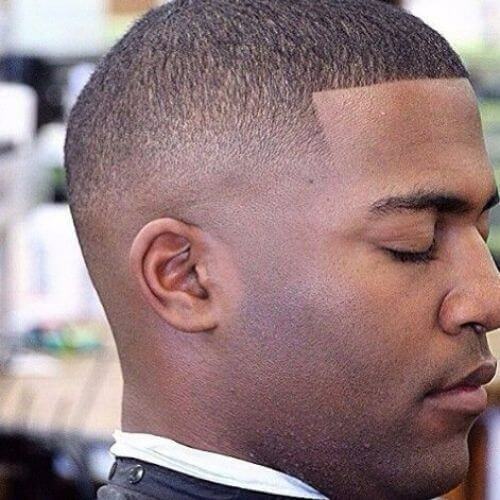 These buzz cuts literally mean that you have to shave the sides and back of your head and leave some short hair on top. You know what’s great about this style? It’s very fancy, but you can do it right at home. 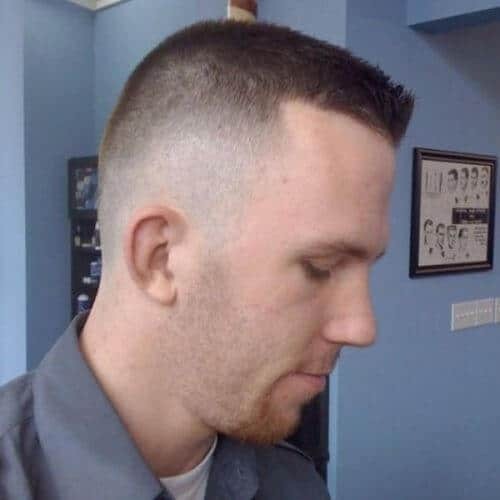 Even though the hair is a few inches longer than you would normally see with this type of haircut, this is still a buzz cut. Maybe one for a soldier on leave? A modern interpretation of the traditional buzz cuts, where the hair on top on the head is turned into small messy spikes. 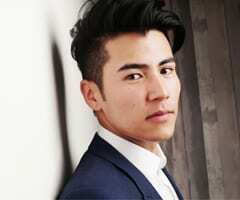 Use plenty of gel or hair mousse to copy this outstandingly handsome look. 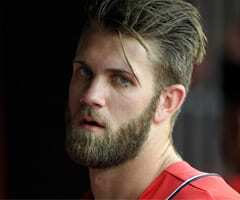 Think about this version of the buzz cuts as a five o’clock shadow beard. Therefore, this means that you’ve had a classic buzz cut and then left it out to grow for a month or two. If so, this would be the result and we love it. He played Prince Charming in Enchanted where he showed off his stunning good looks. Here he is proving that a buzz cut can be just as dashing as long wavy locks, making him an urban price with a scowl. 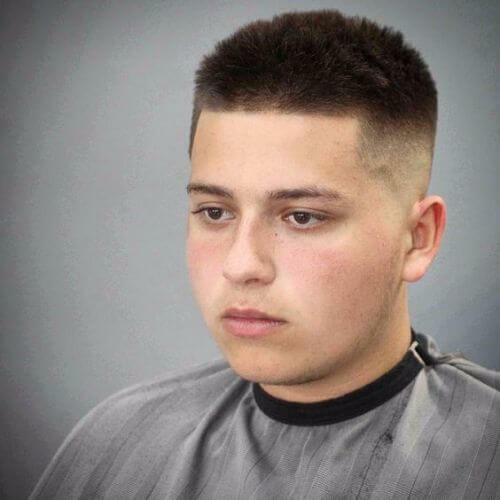 In the beginning, all buzz cuts were military. That’s where they got their name. However, in the meantime, they strayed a bit from the path, catching some Hollywood glam or street credibility. Still, should you ever want to go back to the roots, here is the original buzz cut. 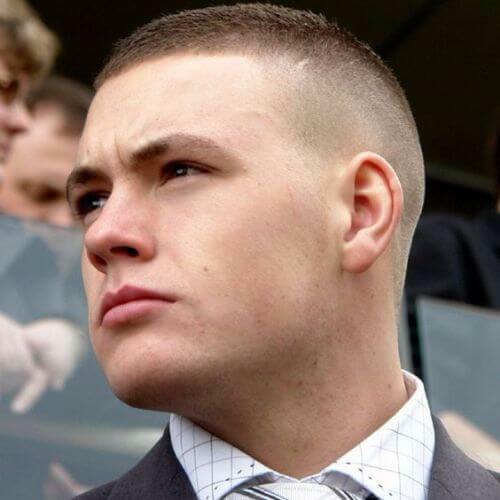 Even though they do look quite butch, buzz cuts can also be stylish and formal, if one only styles them right. Here is a perfect example of a buzz cut paired with a steel gray suit and amazing white checkered shirt. 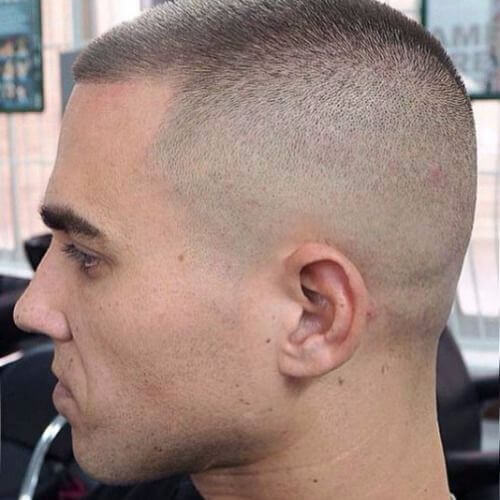 The idea of a clean buzz cut means that all the lines and edges have been thoroughly shaved. 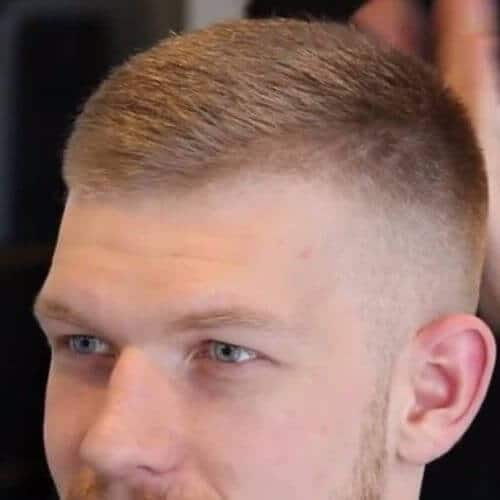 As a consequence, there are no loose ends or stray hairs that could take away from the utter perfection that is this haircut. 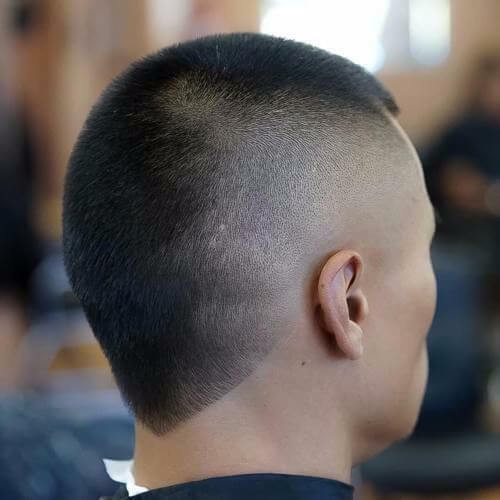 Ask your hairstylist to leave a few inches of hair on top of your head and then perform a fade cut down the sides and in the back. The result is a spectacular cut, modern and hip, with just a touch of rugged masculinity. 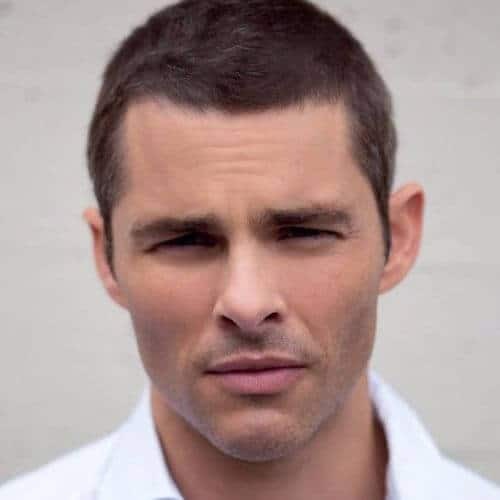 Here is a more relaxed and natural version of the traditional buzz cut. It’s perfect for summer time when it’s incredibly hot outside or for when you go on a vacation. Yes, that is possible. 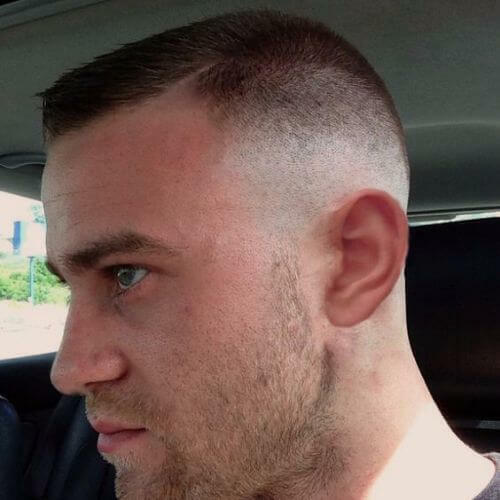 Seeing as the buzz cut is such a versatile hairstyle, you can do anything you want with it. That includes asking your hairstylist to keep your existing side parting. In this way, you can add a touch of glamour to your hair. When we want to talk about low maintenance, this is where it’s all at. 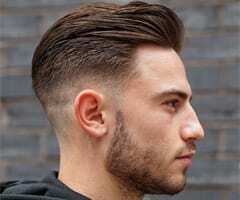 This hairdo incorporates not only a buzz cut, but very closely shaved sides and back as well. 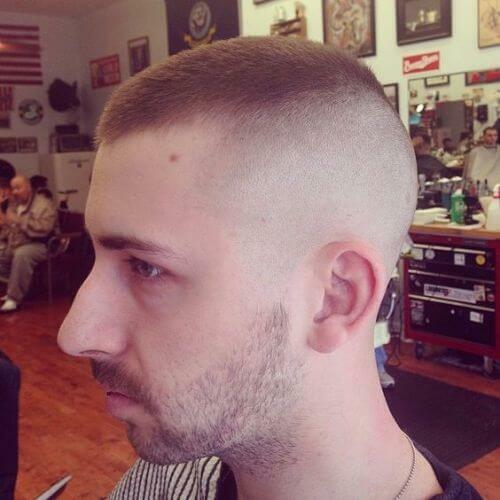 When you sport a military inspired buzz cut, you’re already sending the message that you’re a man’s man. 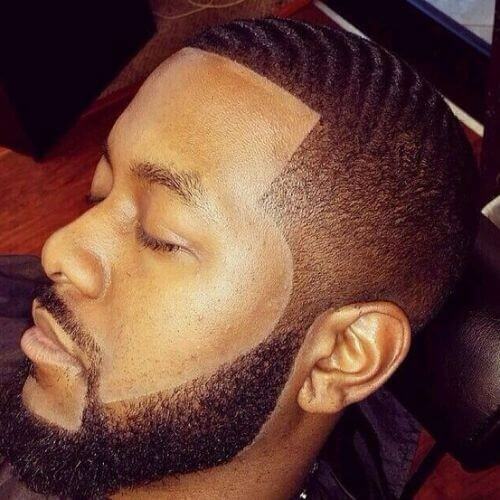 Adding a beard to it might just make you irresistible as far as potential partners go. Apart from the side parting that can embellish your buzz cut and add to it, you can also sport a small, faux quiff in the front. Use some hair product to get this look as well as volume and depth. In this version of the classical buzz cuts, styling is taken to the extremes. Just look how perfect those lines are. 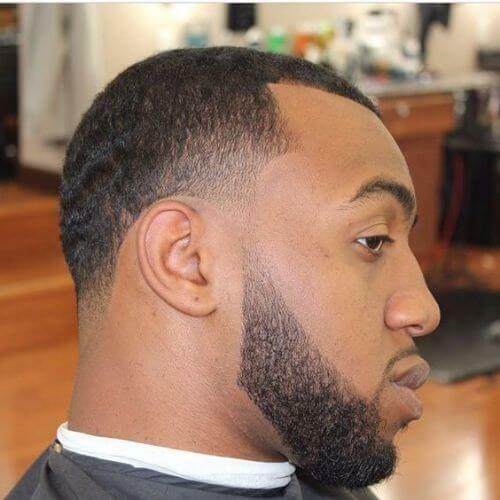 The cut will go amazingly well with a dapper suit and tie. One way of keeping thick hair in place and maintaining it is by sporting a buzz cut. It will help you stay cool in summertime and it requires very low maintenance. 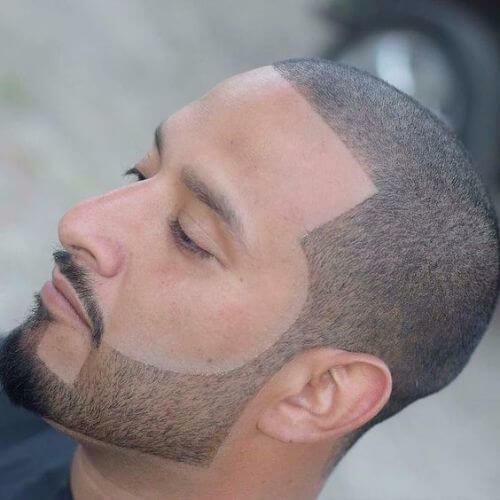 A clean shave on the sides and in the back applies here as well. 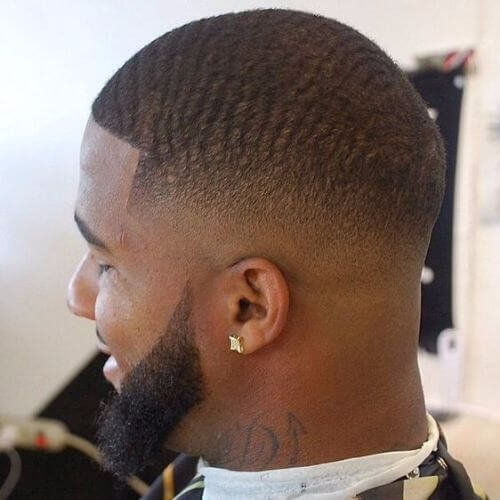 In case you have a buzz cut and you want to soften your image a bit, you can always opt to shave off your beard entirely. It will give you a clean and fresh look, perfect for the office or a date night. 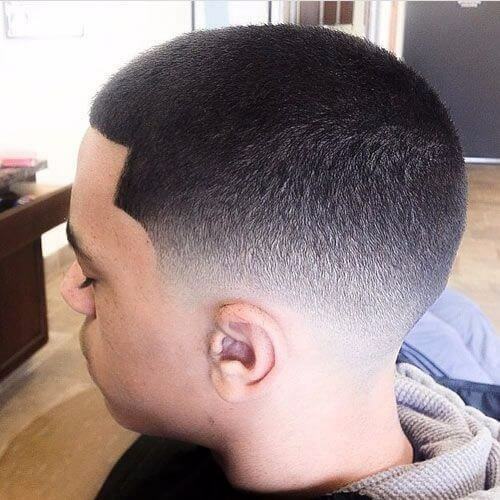 If you happen to have curly hair, then you can use it to your advantage and create a very stylish buzz cut. 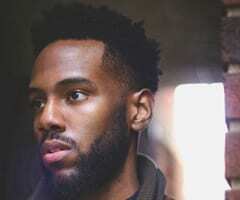 A clean shaven beard and sides of your head will complete this one-of-a-kind look perfectly. 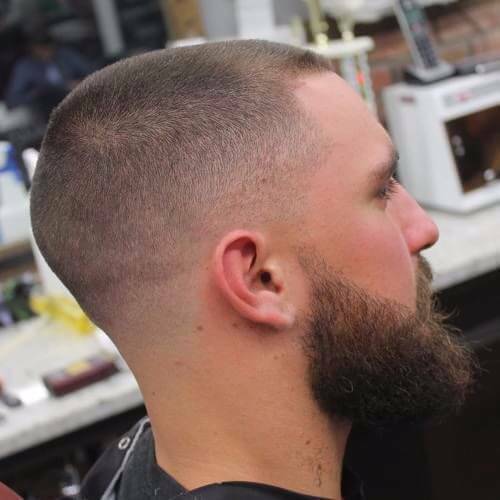 The trends in the past few years have been all about keeping it symmetrical and elegant when it comes to hair and beard. No rogues hairs are allowed anymore, and definitely no bushy beards. The same goes for the haircut. You can take two of the options we presented above and mix them up. 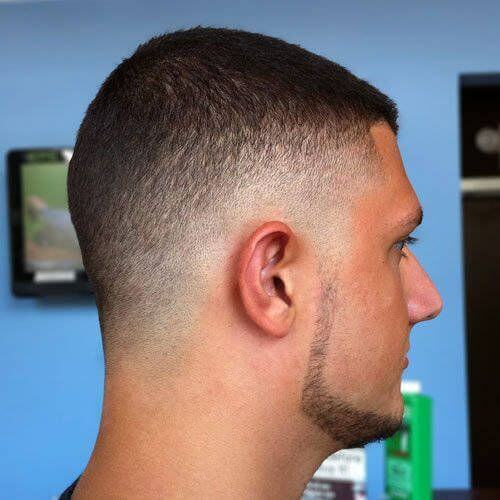 In this way, you will get half a wavy buzz cut and half a clean shaved faded undercut with an elegantly trimmed beard. The look is both party and business, at the same time. Independently of what people might think, buzz cuts are not just for dark haired men. Blonde and fair skinned ones can sport them as well. They key here lies in growing a thick beard at the same time. 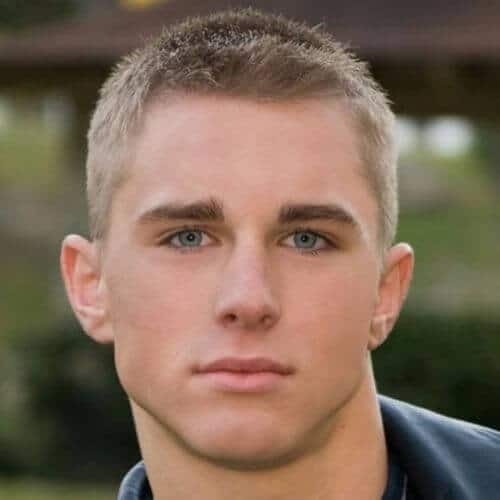 In case you have teen heartthrob good looks, with a strong jawline and piercing light blue eyes, then a buzz cut is definitely for you. There is no need to hide your fabulous features under strands and strands of hair. Let your beauty shine through. 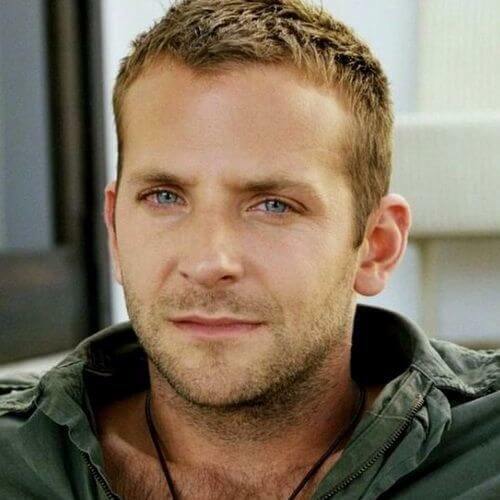 And speaking of incredible good looks and piercing blue eyes, here is actor Bradley Cooper sporting a very dashing buzz cut. He paired it with a military style jacket and leather necklace. 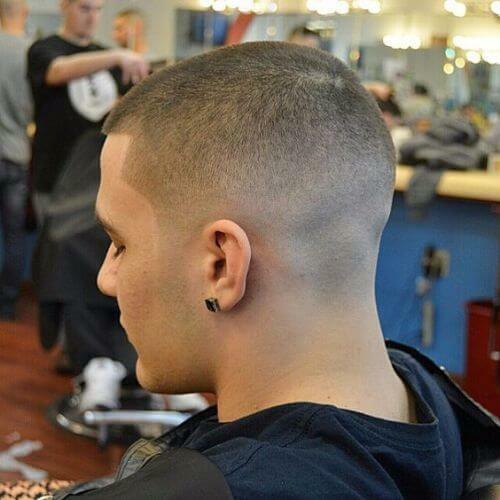 As you might have guessed, this version of the buzz cut combines the classical hairdo with the flat top. In case you don’t know what the latter is, we suggest you rewatch the classic Top Gun. Ice Man can tell you a thing or two about it. 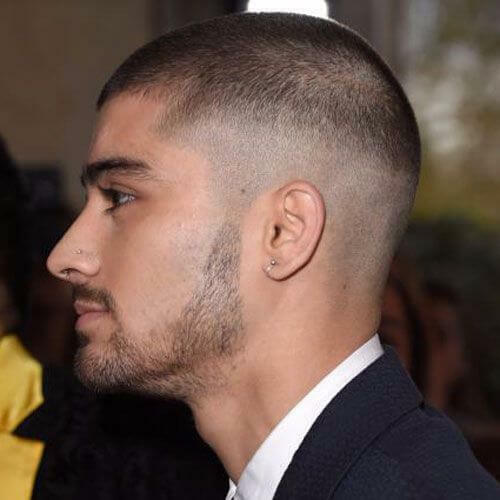 Zayn Malik’s hair has his very own fandom on the internet. Every time he changes his hairdo, his fans seem to go wild. Here is the famous pretty boy sporting a classic buzz cut, which he has styled with a small hooped earring and a nose ring. 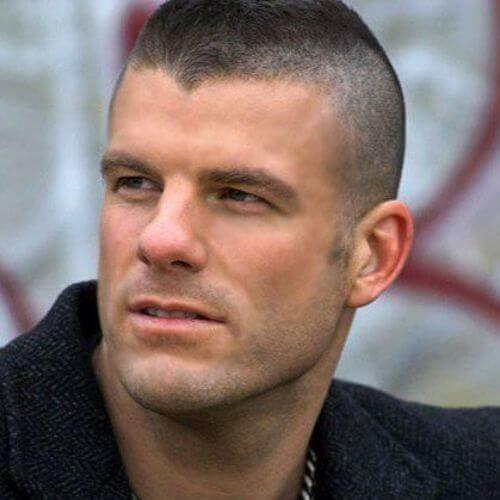 The Mohawk and the buzz cut are two of the manliest cuts available for men. 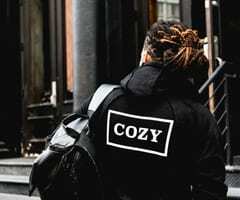 Consequently, when you put them together, you end up with a fabulous mix of rugged masculinity and rebelliousness that will make all the ladies swoon. 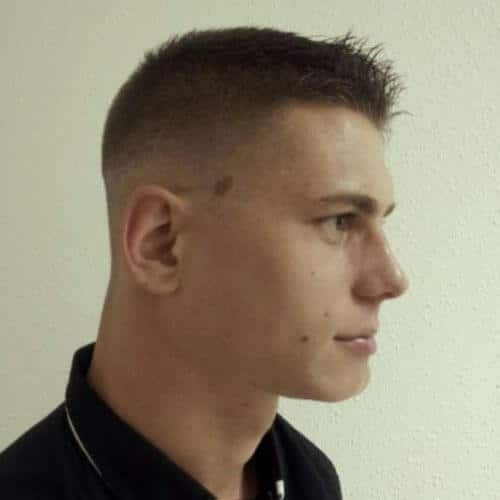 If they allowed such things as trendiness in the military, this is what the haircuts would look like. 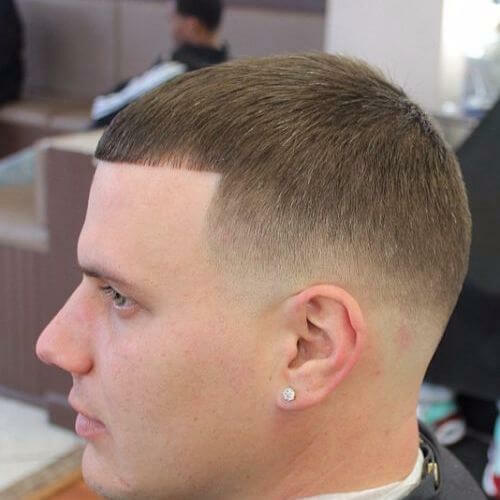 A classic clean shave paired with a long flat Mohawk which ends in the front with combed out bangs. Going for a buzz cut will not steal from your elegance and poise at all. Just take a look at the model in this example. He looks every bit the gentleman, with perfect hair and retro diamond stud earring. Evidently, since we are talking about buzz cuts and they do come from the military forces, we had to throw in the mix an army man as well. Here he is, proudly sporting his uniform, name tags, and, of course, buzz cut. Here is another combination you might light to try in summertime when the pesky heat makes it almost unbearable to go out. 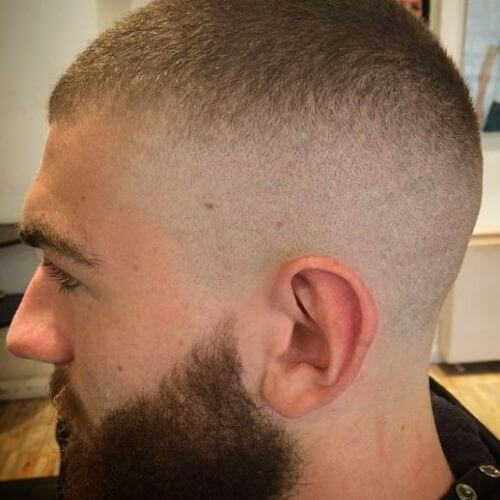 A buzz cut combined with a classic fading style. It’s a wonderful and natural progression from short hair to a downright shave. 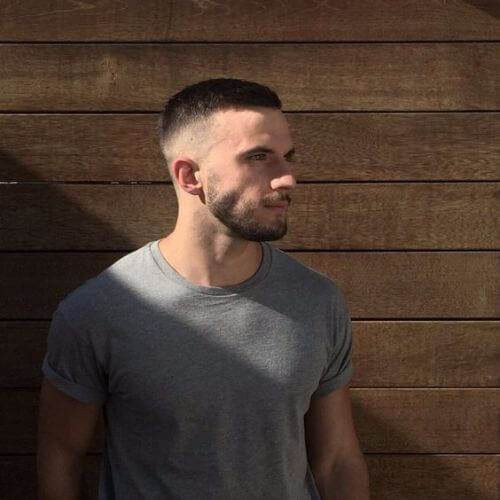 A cute combination is that between the buzz cut and a stubble. 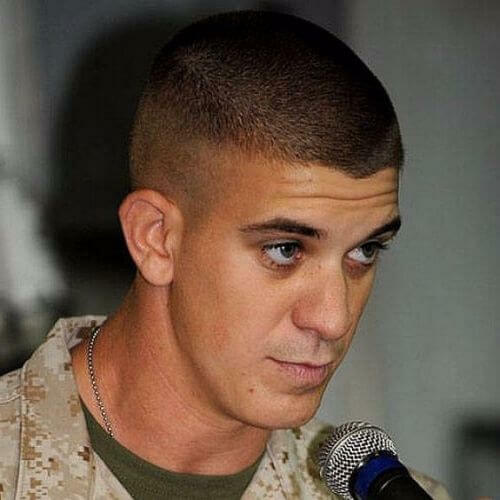 It’s not as rugged as when this military hairstyle is combined with a fully grown beard, but it’s absolutely adorable. Throw on some hipster shades and a fleece shirt and you’re good to go. 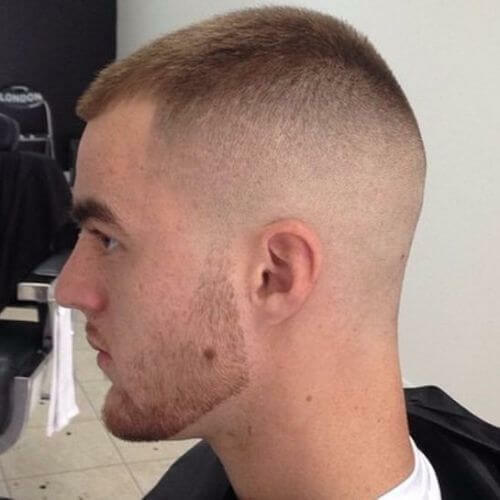 The rocking model in this pic displays an interesting approach to buzz cuts. 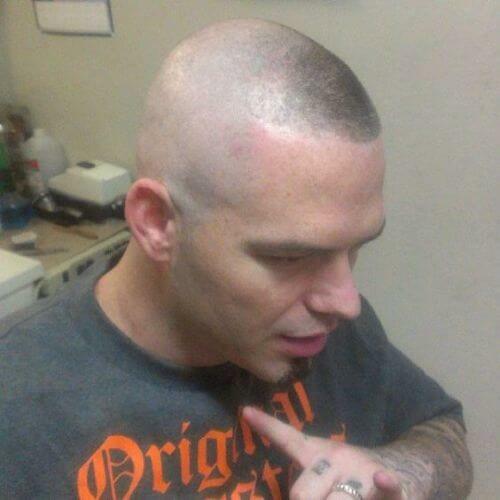 He went classic on almost his entire head, except for the forefront. It reminds us of a cooler version of Brazilian footballer Ronaldo’s infamous fringe-only buzz cut. 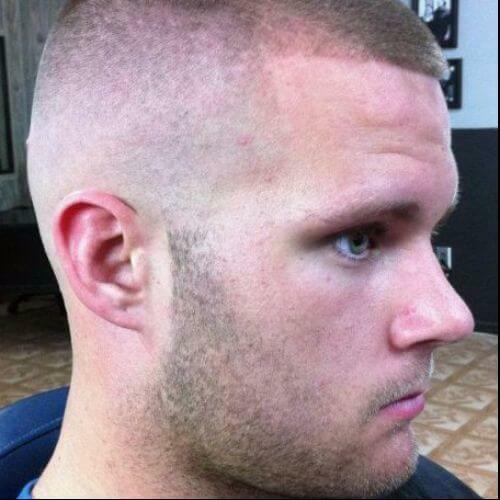 This is the clean high taper buzz cut, presented here in combination with a short and perfectly well-trimmed beard. It’s a cool and versatile look that works well in all seasons and for all occasions. We all know that 2016 is the year that saw the 90s make a comeback. Therefore, you can take your inspiration from this style trend and combine your buzz cut with some 90s gelled spikes. If you don’t care for gel, you can always use some mousse to get the look. 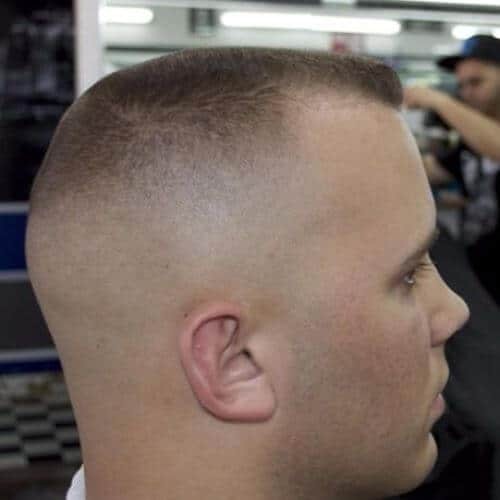 This is a low fade Caesar buzz cut. You can try it out if you wake up one morning and want to feel like true royalty. Use a small and dense comb to create the perfect hairdo. Olive branches are optional here. 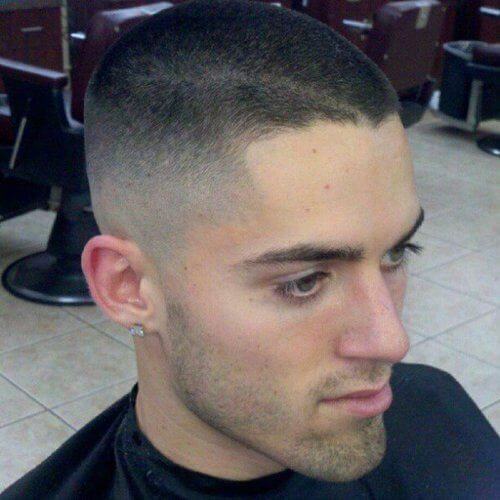 Here is another example of a marvelous buzz cut that is here to prove this cut will never be out of style. Apart from that, it will always look good, no matter which version you choose and independent of hair color or length. 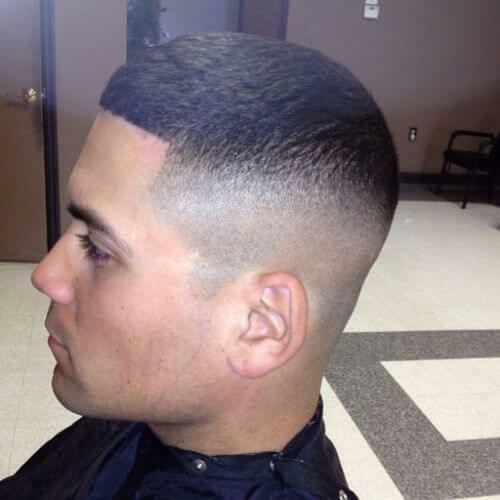 Go butch on your haircut and let your facial features shine. By taking the focus off your hair, your face will be the center of attention. This idea work especially well if you have great cheekbones or a high forehead. Here’s actor Jake Gyllenhaal circa 2005, going back to the basics in a very simple and traditional buzz cut. Take his example and don’t let them figure you out. Keep them on their toes. 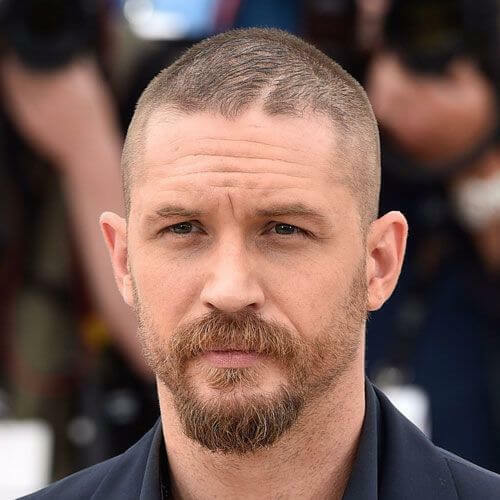 Some argued that there is nothing Tom Hardy could do wrong. And we tend to agree, his hairstyles included. Here he is on the red carpet sporting a simple buzz cut and a full on beard. His signature scowl is present as well. As far as hairstyles go, the buzz cuts can be counted as protective ones as well. It means that they protect your hair for sun or winter damage, but also from yourself. In case, you know, you have a history of bad hair decisions. If you’re a teen and just beginning to show your head in the socializing world, then let your first manly haircut be a buzz cut. It will do wonders for your self-esteem and establish a hair styling path for later years. If you want a little embellishment for your buzz cut, here’s an idea. 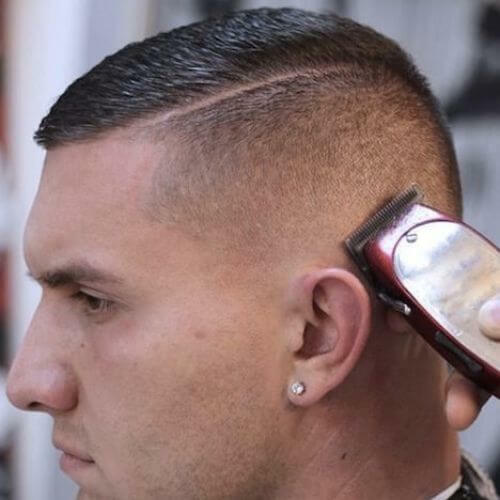 Ask your barber or hairstylist to shape the back of your neck hair into a V. This works especially well if you have darker hair, as it will contrast with your skin tone. Wearing a buzz cut will give you more confidence and power than you ever dreamed of. Pair the hairstyle with a well-trimmed beard, a power suit, and diamond studs to match and you are ready to conquer the world. Buzz cuts can also mean the following. 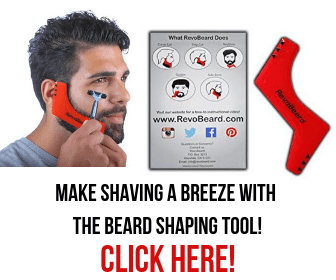 The less hair you have on your head, the bigger and bolder you can go on your beard. Trim it down into minimalism or go on full Metal Jack, it won’t matter. You will still look awesome. Here is actor Jake Gyllenhaal again, with another version of the fabled haircut, proving his love and admiration for the buzz cuts. We cannot say he’s wrong, seeing as this hairstyle compliments him so well. 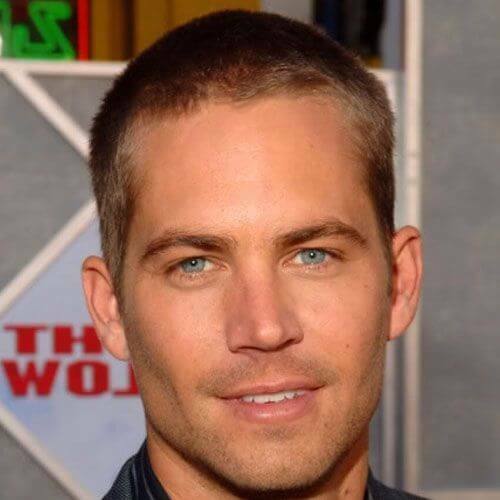 Here is regretted actor Paul Walker superbly sporting a buzz cut clipped uniformly. The short blonde hair highlights his angular face as well as his stunning blue eyes and warm bronze. There is such a thing as well. Hipsters took this hairstyle too and made it their own. And we are definitely glad they did so, because this model looks absolutely gorgeous with his faded short buzz cut and long hipster beard. 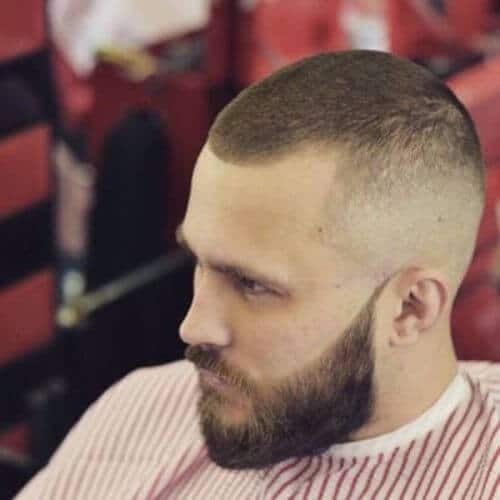 A variation of the hipster one, the lumberjack buzz cut will have you grow an attractive bushy beard. Display it proudly wherever you go and keep your hair short. There is no need to look like Hagrid on vacation. 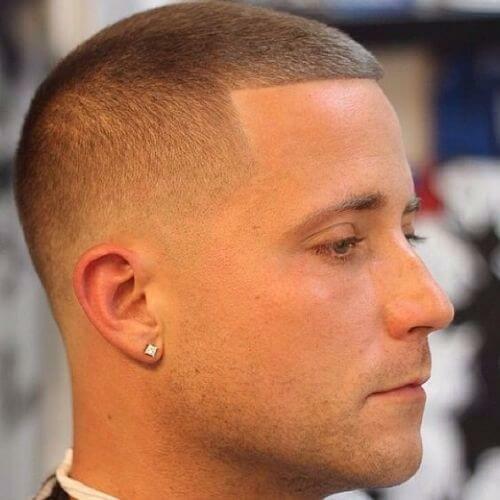 No matter how you dress up or what style you choose, a buzz cut will always keep it manly, underrated, and elegant. These are three qualities every man out there should have, don’t you think so? 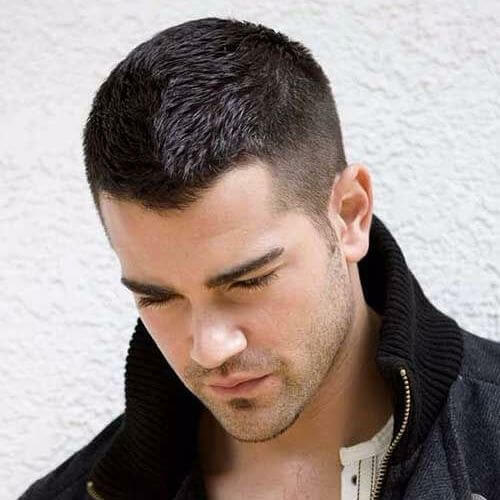 Buzz cuts are simply one of those amazing hairstyles that never go out of trend and that look good on everyone. Here are our choices for the top 50 buzz cuts for men that will make you want to chop your hair off today!